Ambiguity and lack of referential integrity in marketing terminology hinders the integration, effectiveness and efficiency of processes and data, between functions within an organization, and across organizational partners. There are no commonly accepted definitions for marketing activities nor for the metrics used to evaluate their outcomes. In partnership with its industry association members, MASB manages and shares a web platform for the Common Language Marketing Dictionary. Establishing industry endorsed common language and definitions will eliminate ambiguity in marketing terminology and encourage trust and collaboration within and across the marketing industry & business communities. 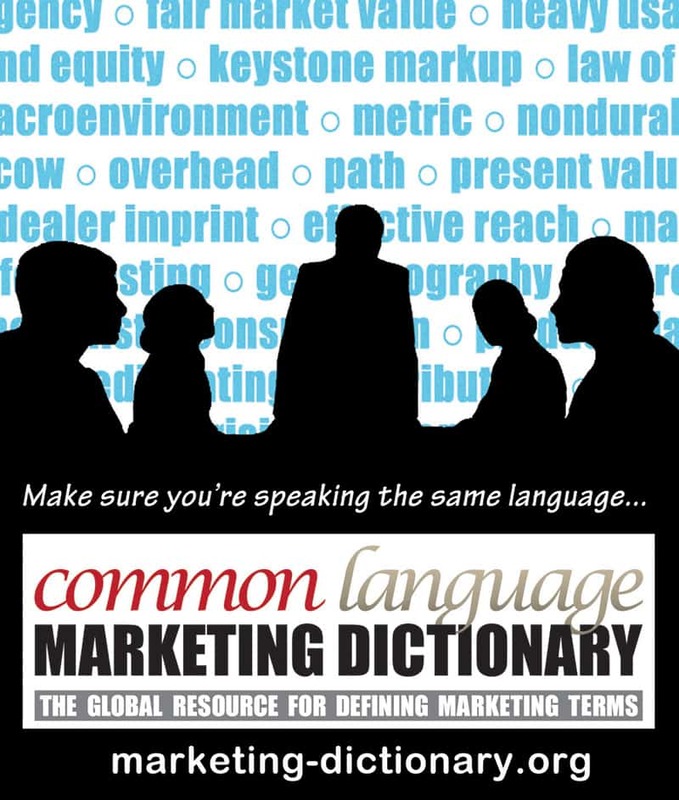 Managed by MASB, the Common Language Marketing Dictionary is an ongoing collaboration of marketing’s top industry associations, combining the insights of leading academics and subject matter experts with input from the global business community.